Henry James's Style of Retrospect traces James's engagement with the writing of the recent past across the last twenty-five years of his life and examines the thoroughgoing change his style underwent in this last phase of his career, as his focus turned from the observation of contemporary manners to biographical commemoration and autobiographical reminiscence, and the balance of his output gradually shifted from fiction to non-fiction. The 'late personal writings' of the book's subtitle are works of retrospective non-fiction. They are a varied group, representing a broad array of genres and occasions: commemorative essays and obituary tributes, textual revisions and accounts of revisiting familiar places, cultural and literary criticism, biography and autobiography, and family memoir. Oliver Herford proposes that we read the late personal writings as a coherent sequence, bound together by a close texture of cross-references and allusive echoes, and united by James's newly discovered sense for the literary possibilities of non-fiction. Closely analyzing the style of these writings, this study offers a boldly revisionist account of the way style itself challenges and preoccupies the very late James. A linked series of innovative close readings takes the major works of this period in sequence, addressing a key point of style in each: particular attention is paid to procedures of reference (to the historical past, to real persons and places and objects), a dimension of style often neglected and sometimes actively slighted in analyses of James's late work. 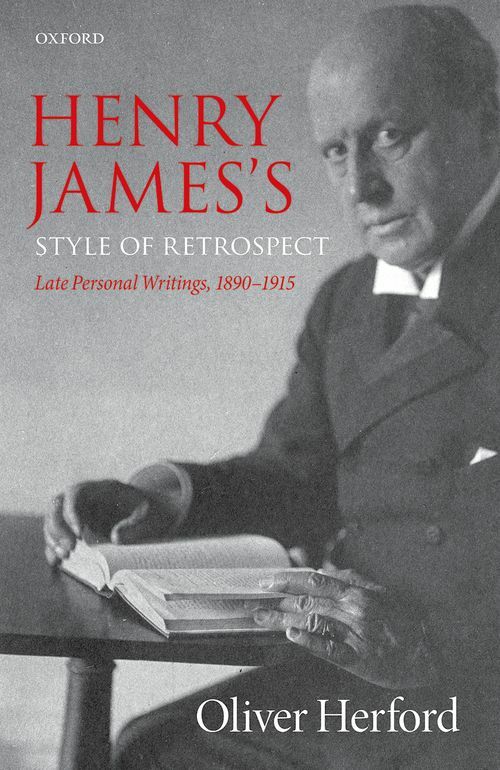 Henry James's Style of Retrospect asks what it means for so distinguished a novelist to alter the foundations of his written manner so strikingly in late life, and shows how we may begin to reconfigure our understanding of late Jamesian aesthetics accordingly. Oliver Herford is a Birmingham Fellow in English Literature of the Long Nineteenth Century at the University of Birmingham. He was educated at Corpus Christi College, Oxford, and University College London, and has taught in the Universities of London, Oxford, and Birmingham, including three years as Darby Fellow and Tutor in English at Lincoln College, Oxford. He is currently editing the Prefaces to the New York Edition for The Complete Fiction of Henry James (CUP).